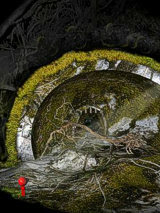 wogger Free and Full Version: Here you will find some help if you get stuck in the game and don¨t know at all how to continue. Of course wogger would appreciate if you could manage by yourself or with friends how to discover his adventures and explore his world - as this is the real fun. But before you get stuck and give up...take a little help of the solution page. Each Level of the game has a name and you can jump from the start site to each Level. Thereto you have to click right below on "load Level" - then you will see a field in wich you have to entering the Level Name you want to go. Jedes Level im Spiel hat einen Namen und Du kannst von der Startseite aus zu jedem Level springen. Dazu musst Du rechts unten auf "load Level" klicken - dann erscheint ein Eingabefeld in das Du den Level Name eintragen musst zu dem Du möchtest. Level Name 1. - 12. Lösungsweg: Wenn Du Hilfe für ein wogger mini Spiel benötigst, schau hier (PDF öffnet sich in neuem Fenster). 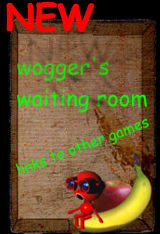 You need the Flash Player in your Browser to play the wogger game - download free!. Du brauchst den Flash Player in Deinem Browser um das wogger Spiel zu spielen - download kostenlos!